Two girls. One beautiful friendship. Soft-spoken, ever-so kind and big-hearted, this energetic Tamarack third-grader plays a silly get-your-nose game with her best friend. 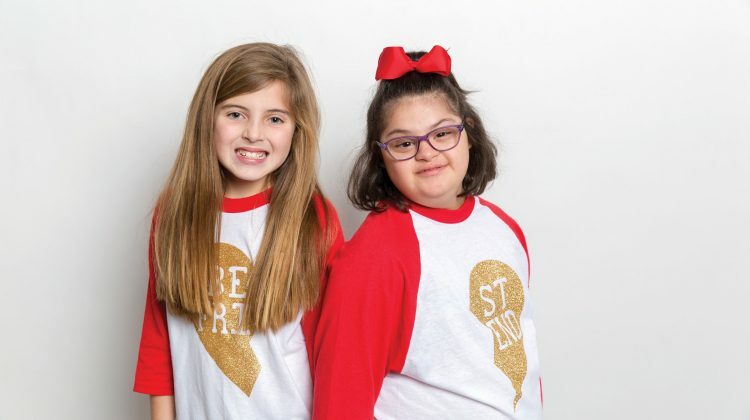 That best friend, Ruby, is a fifth-grader with Down syndrome. Their unique friendship, regardless of an age and communication gap—was instantaneous. Claudia Munsey said it feels “good” to help Ruby. “Not every day do you see someone Claudia’s age naturally interact without hesitation with her peers who have different abilities. I saw the friendship between Ruby and Claudia instantly . . . Claudia found this friendship on her own—a friendship I pray everyone feels once in their life . . .” said Amanda Owen, founder of Puzzle Pieces. Claudia’s teachers played a key role in this new-found friendship and recognized her exceptional sensitivity. “Claudia is a very sensitive and compassionate girl. She is a natural leader in our classroom. No matter the situation, Claudia is always ready and willing to lend a helping hand (this includes coming to the aid of a classmate who may be ill or injured, need a helping hand with school work, or someone who is alone on the playground),” said Kelly Smith, Claudia’s teacher. Both Claudia and her mom Carrie Munsey, principal at Tamarack Elementary, were new to this school in 2015-2016. Since Claudia arrived at school with her mom shortly after 6:30 a.m., she said, “I kept on following my mom around . . . then Ms. McAtee (Ruby’s teacher) just asked me if I wanted to help with her class in the morning, so I asked my mom if I could,” Claudia said. From that moment forward, a very sweet, tender relationship began. Claudia helps Ruby every school morning and afternoon. If mom isn’t moving fast enough in the morning, Claudia asks her to “hurry up,” because she does not want to miss greeting Ruby at her bus. So, Claudia waits to meet Ruby as she steps off the bus each morning. “I kinda put my hand out to help her off the bus,” Claudia said. From there, they go to the cafeteria to get the breakfast cart for their classroom. Ruby helps pull the cart and Claudia unloads it in preparation for the other students to arrive and have breakfast in their room. 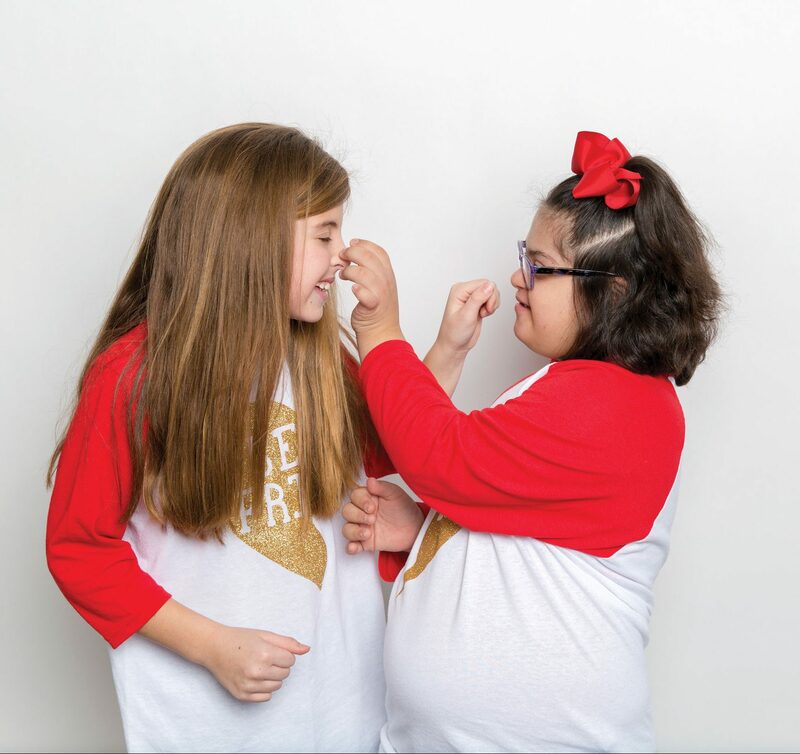 “Seeing Claudia’s amazing dedication and commitment when Claudia greets Ruby every morning at the bus” is Anne McAtee’s favorite memory of this twosome. After breakfast, Claudia and Ruby lead the Pledge together, which also involves camerawork to produce the live news broadcast. 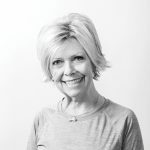 As Carrie described Ruby’s role with the Pledge, Ruby responded with an all-telling, broad smile, knowing that she had a very important job to fulfill. Those smiles abound. “It always brings a smile to see Claudia help Ruby (with this task) in an inconspicuous manner whenever needed,” Kelly said. In addition, Claudia accompanies Ruby as her partner when they go beyond the classroom to specials: music, art, library, PE and computer classes. “I believe the relationship between Claudia and Ruby has touched Claudia’s heart in a way we as adults see, but only these two girls understand. Claudia has mentioned many times that she wants to be a special needs teacher. Her friendship with Ruby brings out the very best, in both girls,” Kelly said. “Ruby has become much more independent, I think, because of her relationship with Claudia. There are times when I can’t understand something Ruby tries to tell me, but I look to Claudia and she always knows.” Not only has this relationship impacted Claudia and Ruby, but also the other students at Tamarack: “My students have been impacted in a positive way. My students guide Ms. McAtee’s students during assemblies, on the playground, and in special area classes. When school starts, not everyone wants to be partnered with someone who may learn differently. 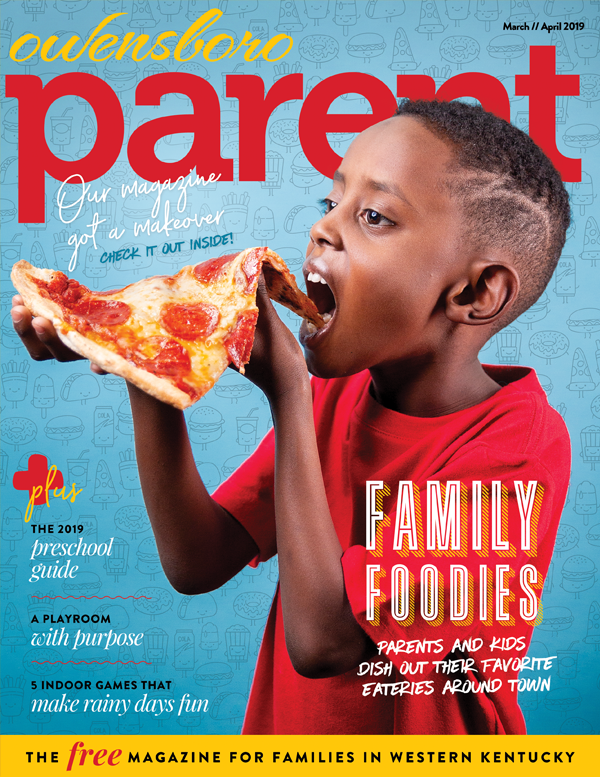 We are now on a monthly rotation, because EVERYONE wants a partner,” Kelly said. Wow. Whether it’s Claudia’s mom, teachers or classmates, they all concur that Claudia and Ruby are best friends. “They seek each other out whenever possible at school. Ruby attends after-school events with Claudia and the two play together, outside of the school setting,” Kelly said. This year they Trick-or–Treated together as blue M & M’s, wearing their matching blue tutus. Ruby attended Claudia’s First Communion, and they often have play dates, eat at Ruby’s favorite Chick-Fil-A or get ice cream together. “For most peers the relationship is strictly school-related, but not so with Ruby and Claudia. For a relationship to extend beyond school hours is truly unique,” Anne said. On Mondays and Tuesdays after school, Claudia goes to Puzzle Pieces to assist Ruby there, staying until 5 or 5:30 when her dad picks her up. “Not many people find a friend in life they can sit next to and not say anything at all but understand everything. Ruby and Claudia do that. I saw something in Claudia from day one,” Amanda said. “She is an angel in disguise. Ruby is a sweet girl, but has speech problems. She is difficult to understand, but Claudia treats her as she does any of her non-disabled friends,” Anne said. Claudia still finds time to excel in the classroom and in athletics, playing basketball and softball—wanting to also try out for the volleyball team. Sometimes she resorts to doing homework at her brother’s games and admits that sometimes it is hard to do it all. Yet she has earned the admiration of many. “I have been fortunate to have the opportunity to work with Ms. McAtee and her class for the past 12 years. Our motive is always the same: to teach students to be accepting of each other, no matter how they differ. Year after year, it is amazing to watch the children grow and understand each other. My students are often able to reach and teach her students through patience, modeling good choices, and understanding. Through the years, I have not witnessed a bond like these two girls share. Claudia and Ruby set an awesome example of unconditional friendship,” Kelly said. Ruby will go to middle school next year. That could be a significant adjustment for both girls. Nonetheless, Claudia is planning to see the “Rube-ster,” as the Munsey family affectionately calls Ruby, at Puzzle Pieces and they will still have play dates. “I think the best part is that once you get to know someone with different abilities, you realize they are not so different after all,” Anne said. Claudia and Ruby have discovered that and more with an incredible friendship rarer than rubies. Gail Kirkland recently retired from DCHS, where she taught journalism and English. She is a mother of twins, a Meme, and sports enthusiast.